Have you got your umbrella or coat? Anything? Why today of all days? No, I wasn’t really expecting the particles of doom to greet me today. Are you being serious or mocking me? I’m mocking you, Einstein. It’s not a big deal. Stop being so dramatic! I think it’s pretty. First dates don’t always go bad when it’s like this. They’re usually very romantic, actually. I—I guess I just wanted everything to be perfect without these freezing shards of glass slapping us. I think it’s quite cliché. It’s like a typical date. Do you like typical dates? I don’t know. I’ve never been on one. So it’s down to me, then, whether or not you like these typical Disney-movie kinds of dates. Yes, it’s all down to you! And if in the future I hate these kinds of Disney dates, with the clouds groaning above us, then you know who’s to blame. No pressure. I better give you my jacket, then. Classic move, isn’t it? Do you approve yet? Hm. Almost there. Not quite. Okay, I know you were definitely mocking me that time. It shouldn’t be like this, though. It should be autumn with vivid colour like your personality, or summer like your beauty. Now, that is an impressive line! I approve. Just trying to fit the theme. I’m being cliché exactly like you wanted. I think I like it. It might just be me being me and falling for the cheesy lines that you’re stealing out of the movies. 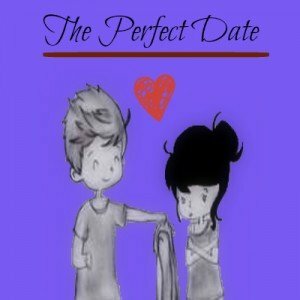 They all end the same, though, the typical, perfect dates. Very predictable. Wait a second. How do they end? I, um, I think I’ve got this wrong. To view the drama prompt for next month, please visit our submission guidelines page.